All Praise is due to Allāh, Lord of the Worlds; Peace and Blessings be upon our Beloved Prophet Muḥammad his family and companions. occasion of Eid Al-Fiṭr 1439 to ALL Muslims. The day of Eid is a day wherein Muslims thank Allāh Almighty for having given them the will, the strength, and the endurance to observe the fast and obey HIS commandments during the Blessed month of Ramaḍān. This month has passed in a blink of an eye, and we are left to ask of Allāh Almighty to accept all our fasting, our prayers (ṣalāhs), our supplications, our charity, and good deeds. We ask that Allāh rewards us with HIS forgiveness and entry into Paradise (Jannah), Āmīn. Although we celebrate on this day, we also reflect on the month of Ramaḍān’s ability to unite the Ummah of our Beloved Prophet Muḥammad (peace be upon him). As Muslims, we have a responsibility to live Islām as our way of life and conveying that message to all of humanity. Our responsibility shouldn’t end with the end of Ramaḍān but rather continue throughout the year as we rise up and stand firm against the various social ills of our society – crime, violence, abuse, gangsterism and drugs to name but a few. It is only when we collectively pool our efforts and resources for the sake of Allāh Almighty, our families, and communities, will we achieve success. This is Islām – a faith that defines us defines who we are, and defines our identity through the Noble Qurān and Sunnah of the Prophet Muḥammad (PBUH). From the words of Allāh, our current state of weakness that carves the Ummah into segments and reduces it of its power is our own doing and directly impacts upon our inability to defend our beautiful religion. We pray during the Blessed day of Eid that each one of us contributes towards restoring the Ummah to its glorious state, based on unity and love for all and malice towards none as exemplified by our Beloved Prophet Muḥammad (PBUH). Allāh says in the Noble Qurān: “This Ummah that Allāh established through his Beloved Prophet (peace be upon him) is one Ummah”, therefore we have a duty to ensure that nothing divides us. Should differences exist, we engage these differences with Ādāb and Akhlāq (good morals and character). We pray that with the blessings of Ramaḍān, our triumphant and newly energized spirit will reign supreme over the weaknesses of our lower self and through this supreme consciousness will we engage each other for the good of humanity. We pray that Allāh Almighty strengthens us to be worthy of His love and that we stand strong – united – during our trials, Āmīn. On the beautiful day of Eid, we make duā́ that Allāh accepts all our acts of worship (Íbādāt), our good deeds, our love for one another, our good intentions, and our sincerity towards pleasing Allāh in all that we do. May Allāh heal all those that are sick and grant all our deceased Jannah Al-Firdaus, forgive us our shortcomings and weaknesses, strengthen our love and connection to Allāh, our Dīn and our Beloved Prophet Muḥammad (pbuh). 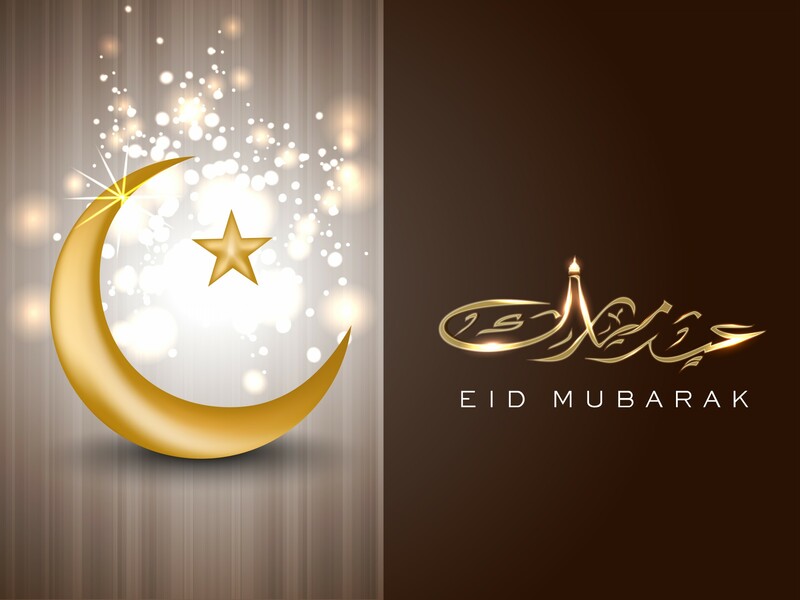 EID MUBĀRAK TO ONE AND ALL! !